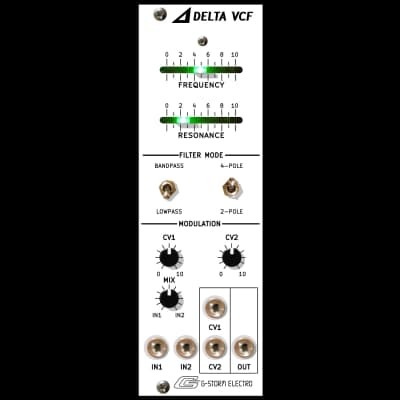 Includes a high quality, independent VCA, so it's like two modules in one. Linear AC coupled FM input is rare on a VCF. At low settings it works well in adding depth to bass and horn like sounds. Some settings and input combinations produce wildly chaotic results. There is a wide variety of in-between sounds to be had.